Tyres are one of the most important components of a vehicle as they are the only thing between your vehcile and the road. The type of tyre you need depends on the kind of car you drive and the type of journeys you do. Whether you are looking for economy, comfort or high performance tyres - Moray Tyre Services can advise you on the right tyre for your specific requirements and we can source any type of tyre for your car at very competitive prices. 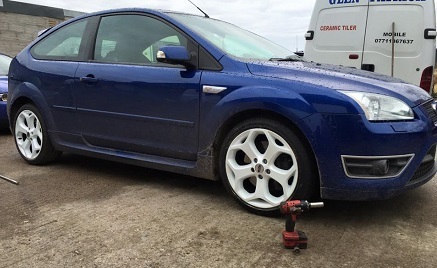 We supply car tyres and provide a mobile fitting and repair service throughout Moray, Highlands and Aberdeenshire as well as a 24 hour breakdown service. For safety and efficiency it is important that your tyres are well maintained and remember to check your car tyres regularly. Read our testimonials to find out more about what our customers say about us.